Put Your Potential Employer In The Hot Seat: Interview Questions To Ask - Construction Recruiters, Inc.
Posted March 11th, 2015 filed under Candidates, Interviews. Share the post "Put Your Potential Employer In The Hot Seat: Interview Questions To Ask"
Job interviews can be stressful. – Make sure the interviewer has no reservations about you. – Demonstrate your interest in the employer. – Find out if you feel the employer is the right fit for you. How will I know if I am successful in my role? Highlights the commuication stlyle of leadership. Do you regularly plan company outings or team building activities? For the entire company? By department? – Provides insight on company culture. How will a new-hire in this role make an impact on the team? The company? – Helps outline expectations AND if there are opportunities for growth. What do employees generally find motivating about working here? – Are they the same things you find motivating? How often do formal meetings occur? How long do they last? – Does it sound like the meetings are about communication or micromanagement? Is this a level of insight you’re comfortable working with? What should I expect during my first month on the job? What about the first 3-6 months on the job? – Provides a basic level of understanding around expectations for the role. Has anyone who has held this position in the past done a particularly remarkable job? What made them stand out? – Helps you determine what is considered “above and beyond”. How does the organization handle failure? Can you tell me about a time someone on your team failed and how you handled the situation? – If innovation is important to you, negative consequences due to failure are not a good sign. 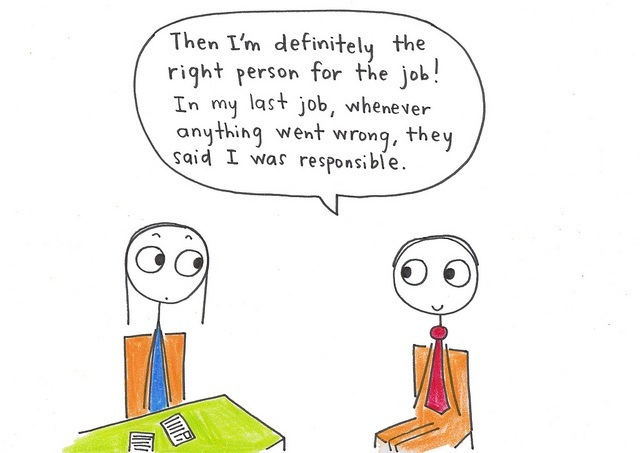 As a manager (CEO, HR Director, etc…) what worries you about this role (or the company) and keeps you awake at night? – Provides insight on challenges within the organization. What interview questions have you found helpful to ask during a job search? Image Sources: studio tdes and Get Everwise.